Remember here, where I showed you how to make sturdy boot inserts using pool noodles? My cost was FREE. However, you can purchase a pool noodle for $1.00 at your local dollar store. 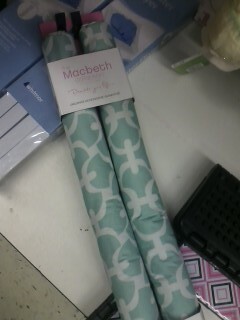 Recently, I was at TJ Maxx and found literally the same thing (I suppose with a cute fabric exterior). I couldn't believe it!?! 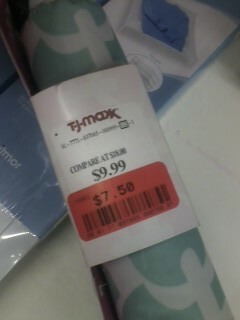 The price-tag was a little more ($7.50 on sale). WOMS: you can buy it, or you can make your own! Maybe it wasn't an invention after-all. However, my version is MUCH CHEAPER!